There is NO vehicle access to The Enchanted Forest. Everyone is transported to the event by shuttle bus leaving directly from the New Fishers Hotel on Atholl Road in Pitlochry. 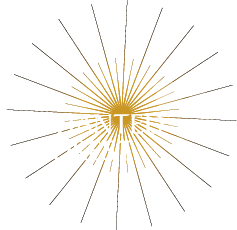 Your shuttle bus transfer is included in your ticket. 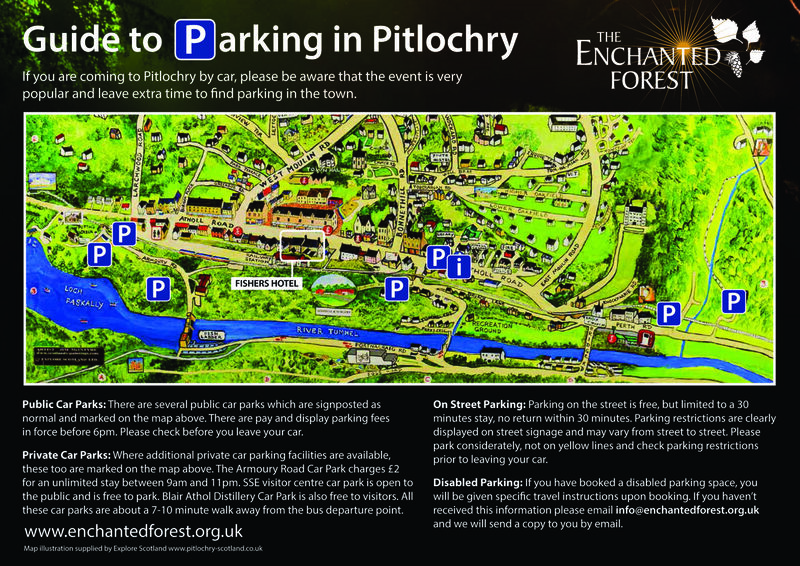 If you are coming to Pitlochry by car, please be aware that the event is very popular and leave extra time to find parking in the town. There are several public car parks which are signposted as normal as well as have additional signposting specifically for the event to ensure you can easily find them (look out for the yellow “Event Parking” signs). Parking on the street is free of charge in the evenings also and there is ample street parking available in Pitlochry. For further information please download our parking information leaflet here. If you have booked a disabled parking space, you will be given specific travel instructions upon booking. The Enchanted Forest at Faskally Wood is approximately 100% accessible to wheelchair users. If you haven’t received this information please email tickets@enchantedforest.org.uk and we will send a copy to you by email. All Enchanted Forest visitors, including those registered disabled, must purchase their tickets in advance.